Cuba’s Fidel Castro has opened a new chapter in the Russian-Cuban relations which have assumed the nature of strategic partnership, Russian Foreign Minister Sergey Lavrov said on Tuesday as he presented a photo album “The Invincible” devoted to Fidel Castro’s 90th birthday. He said that the Commandante’s efforts had helped Cuba to strengthen its positions in the international arena. 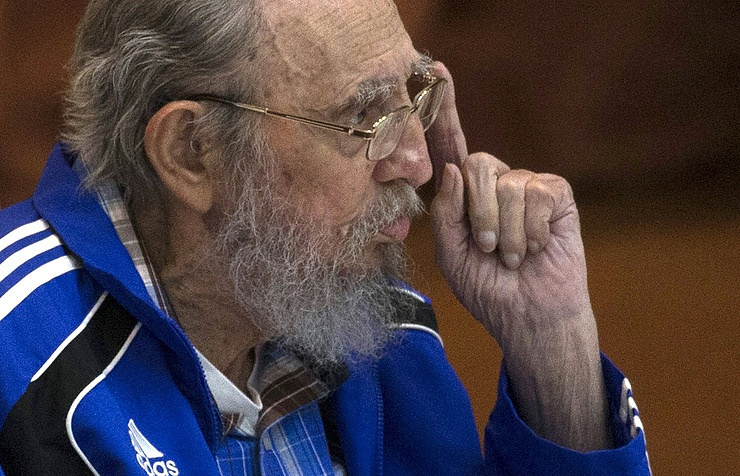 “Not only did Fidel Castro open a new chapter in the country’s development. He stood at the origins of a new stage in the Russian-Cuban relations based on the principles of solidarity and trust,” Lavrov said at the presentation ceremony held at the Reception House of the Russian Foreign Ministry. The minister noted that Russia and Cuba continued to develop active relations, which had reached the level of strategic partnership. “The album features unique photos from the archives of the Castro family; the archives of Russian foreign policy and the materials of news agencies. It is a unique photo chronicle of the landmark events in the Commandante’s life and a reflection of the outstanding and multifaceted nature of his personality and the path, which he has covered,” Lavrov stressed. The Russian foreign minister said he was confident that the photo album would be interesting both to experts and general readers.